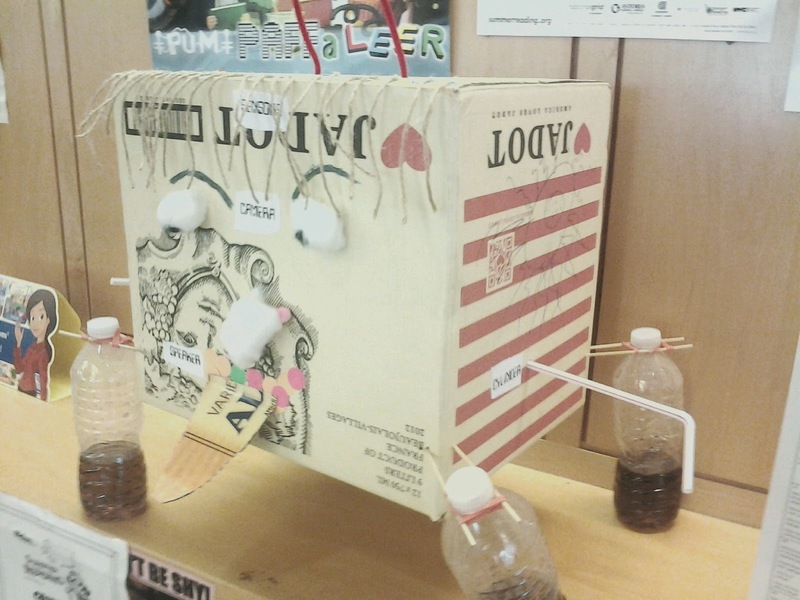 Check out this robot a kid made for our summer reading program. (She made it at home with her grandfather and brought it in to show us.) Bonus points for using a wine box. You get me, kid. You get me. 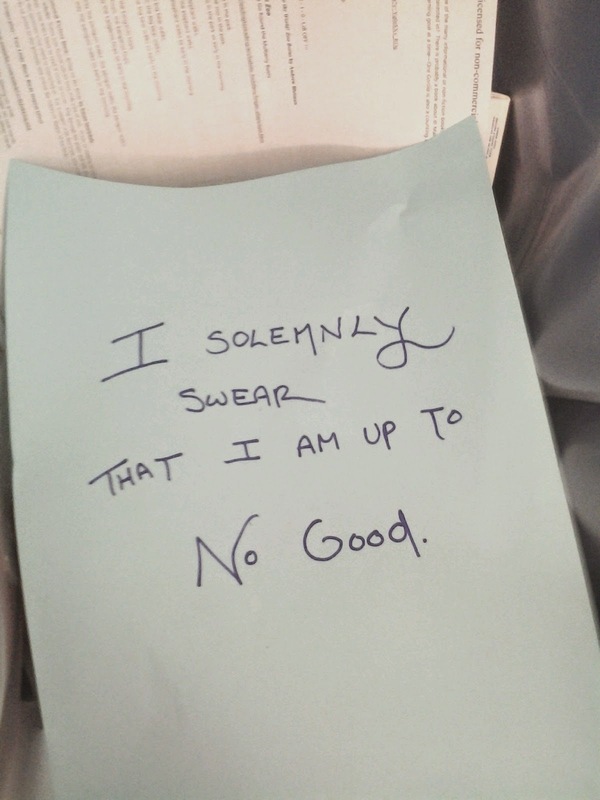 Saw this in my library's recycling bin. Sadly, no Marauder's Map was found with it.